Japanese concept of mobile phone development is presented at the Russian market as well as at the CIS markets more unpretentiously than the Korean concept. The Japanese have capacious internal market, moreover their design is governed by completely different public fancies than those prevailing in Western or East European countries, and frankly speaking, their models are usually more expensive than others. In view of the above, they are not so popular in our region. Things are heading towards the promotion of Japanese phones (Panasonic, Sharp, NEC, etc) more and more actively in Europe and hence in our country. Nevertheless, Panasonic brand was always well-known with our domestic users. Its models are accepted with favor and even have dedicated fans. These phones have the following peculiarities: original recognized design, extended functionality, if compared with Korean phones and at the same time the traditional Far-Eastern emphasis on consumer details, such as polyphony, advanced assembly, materials, etc. Panasonic EB-X70 replaces the much-talked-of GD87 clamshell cameraphone. The newer model is more compact, has built-in Bluetooth and some other technical novelties. 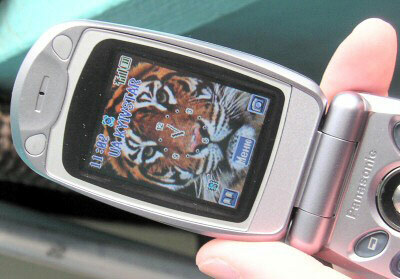 It is one of a few existing phones which is furnished with the Bluetooth. Korean manufactures haven't made this feature mainstream yet. So for those who are seeking a clamshell capable to work with a wireless headset the choice is limited to the above item and alongside Motorola v500/v600, Sony Ericsson Z600, designed in Japan, USA and Europe, respectively. Panasonic X70 is an average-sized clamshell. Relatively thin and light (not the lightest, but definitely featherlike among other Bluetooth clamshells), it has the popular "rounded" design and is made of high-tech materials that make the phone exterior very stylish. The clamshell hinge has very smooth travel without backlash. Open and closed, the cover fixes with a slight click. High-quality plastic and snugly component fitting provide no creaking in hinges and joints. The body seems to be solid and reliable even without the excessive weight that usually provides such a feeling. The model is light and rather handy. The main keyboard is made of plastic. It is located on a semi-transparent gray plate, through which the backlight can be seen when the body is unfolded. The internal body surface is slightly concave that, along with the plate color, provides unusual visual "thin" effect. The keyboard has a standard business design (i.e. number pad, several softkeys, call and and reject keys, 4-way joystick with a large metallic "OK" button). It is distinguished only by a browser key in the bottom that is rarely used and therefore quite rightly located outwards. The keys are sized perfectly and appropriate for use with one exception for joystick that is a relatively narrow ring around the "OK" button that might be inconvenient for users with thick fingers. Since keys are flush-mounted on the body, they are imperceptible to the touch and might be unacceptable for those who prefer blind dialling. The set of other details is rather unpretentious. The most notable is a rubber plug on the combined charger / data cable connector. Concerning the additional keys, there's one for the dictaphone, but it might be difficult to find if you don't look due to its location and size. The front panel features a narrow external display, light indicator, camera lens with in a ferrule, part of which is a mirror for self-shooting. IrDA port is placed under the external display. Such layout is as untraditional as ergonomically unreasonable, making you put the handset on edge for synchronization. On the rear side there is an audio output for polyphonic synthesizer. X70 has a 65,535-color TFT display with a non-standard 132x176 resolution. The screen has poor brightness, grainy picture and narrow viewing angles inverting image even at 40-45°. The screen is well-readable under the sunlight. The small external screen can display the clock or the standard service information (time, operator, signal strength, battery status). X70 allows for various backlight colors, including blue, green, red, turquoise, lilac, etc. Colors are very intensive and the display itself provides smooth and contrast picture. This phone is furnished with a removable Li-Ion baby-battery of 680 mAh capacity. It is combined with the battery cover and is fixed by a couple of hitches at the upper side and a snap at the bottom. The SIM card socket is located under the battery and is fixed by a clip. The design of the whole unit is rather reliable and the battery fits snugly without any backlash. 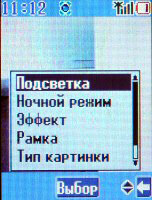 Panasonic X70 has menu configuration typical for the majority of the existing handsets. It has a 2D graphical main menu consisting of 9 items that are larger than others that we tested and also animated. The sub-items are mainly 1D textual, but the most important and complicated groups (organizer, messages) are designed as icons similarly to the main menu. 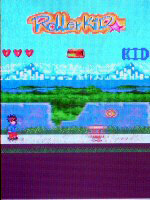 The menus are non-cyclic, so you need to push joystick in the reverse direction when you reach the end. Textual menus are cyclic. In general, the controls are easy and clear and the menu is stylish, so no criticism about it. 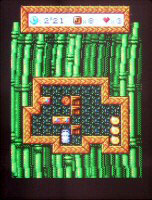 The menu is invoked and selections are confirmed with joystick's "OK" button. To return to the previous level a user needs to press the right softkey. As usual, you can switch to the "root" by pressing the reject key. X70 has the extended phonebook for up to 500 contacts. You can add up to 13 labels and additional service details. For each contact you can store initials, 4 phone numbers (mobile, office, home, etc), 3 email addresses (office, home, etc), an URL, other personal information and remarks. The service information includes the following: caller photo, ringtone, vibro alert type, external display backlight color, group attribute. The phonebook capabilities are obviously wider compared to other existing business-class phones. However, the absence of address label prevents from having the full feature set, although the remark field can be used as a birthdays/event/etc. reminder. 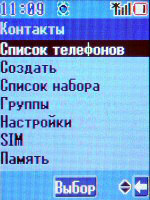 The phonebook is invoked by the left softkey (by default). 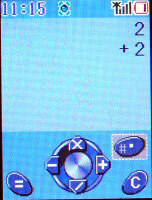 This only shows contacts stored in the phone memory, omitting the SIM card information. Here a user can browse contact details, make a call, send a message, transmit a contact via Bluetooth or IrDA, or copy it to the SIM card. More complicated operations are controlled from the main menu: groupwise sorting, contact editing, address book settings (sorting and contacts display parameters), voice dialling tags, SIM card phonebook browsing. In general, X70 address book capabilities are rather wide. Although this model isn't a fully-fledged business-class handset (like those of Alcatel, Nokia, Siemens), it's much closer to it compared to any other clamshells. 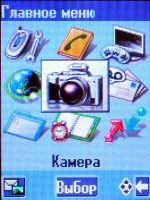 X70 model has a non-standard main menu order, but the Camera in the center as a start item is typical for cameraphones. You can also bind the right softkey to the photo applet. As expected these shortcuts bring the viewfinder window on screen. 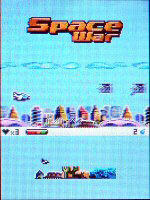 In this mode you can move the joystick horizontally to adjust picture contrast or vertically to zoom. Shooting options are bound to the left softkey. First, note the backlight feature. The LED located on the front panel near the lens can be used as a backlight, as it is in Samsung SGH-X600. It doesn't glow as bright, but this is quite acceptable to improve the picture quality in some cases. X70 has a night mode and supports the following effects: sepia, monochrome, negative, artistic canvas. The pictures can be stored as PNG or JPG with different compression. The shooting modes include single frame, serial, timed, sound-controlled shutter. The latter is the most interesting, since it allows making group portraits from a distance, but the signal must be loud. This option is not of a great use at all, but is rather entertaining. Camera capabilities vary, as you can see. At first glance they hardly conform to the maximum resolution (132x176), but the purpose of a built-in camera makes everything clear. X70 developers realize that it's intended only to shoot pictures to be displayed on the same handset screen (mainly as a screensaver and address book icons). And it suites that purpose perfectly. In well-lit environments the camera takes rather high-quality images with correct color balance rarely producing greyish and brownish tones typical for cheap CMOS sensors and web-cameras. In general the camera is quite appealing. The first main menu item (in the upper left corner) is Settings. It naturally hosts the handset settings as well as network services and call diverting. We've repeatedly mentioned that this option is to be put directly into the main menu "root" or into comm settings, still X70 doesn't offer it. The next menu item is the aforementioned Contacts. The next item is Games. The model has games on the In-Fusio platform, but you can't install new or delete old games unless you change the firmware. 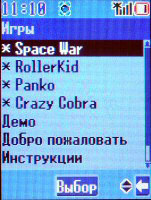 X70 features Space War (scroller), Roller Kid (roller skating simulator), Panko (a la Sokoban, etc.) and the well-known Snake-like Crazy Cobra. All games are rather interesting and easy to play. It's a pity that you can't change their list. The WAP menu offers you a WAP 2.0 browser. 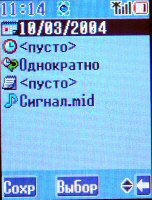 The Messaging menu item provides access to SMS, MMS and email messages. The graphic submenu enables you to create a new message, browse inbox/outbox, voice messages and Cell Broadcasts. Email, SMS-chat, message settings are made as separate menu items alongside the alternative file explorer access (it is appropriate since files stored in the phone memory are often used as MMS attachments). X70 supports T9 input and a number of languages. The model is capable to create multipage MMS, though it's a standard feature for the majority of the new handsets. In general the messaging features are rather typical and easily accessed. 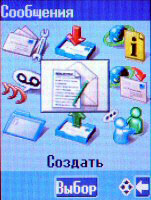 The Data Folders item contains file explorer. X70 memory is divided into folders. Images, Sounds and Themes are pre-installed, another 5 user folders are customizable. Neither of above can be deleted. 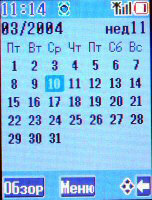 The Scheduler menu hosts various business utilities. And the submenu is organized similar to the main. Here you'll find a monthwise Calendar that can be programmed as a reminder for different time spans. 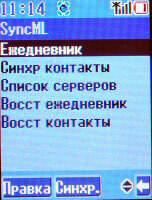 The Synchronization item allows synchronizing phone and remote server data via GPRS using SyncML. Contact list and Calendar can be synchronized separately. The alarm clock provides four signal settings, either single or everyday. The voice recorder located here allows recording up to 20-sec audio tracks or your conversations over the handset. For the latter purpose you can invoke it from the context menu or by pressing the side button. 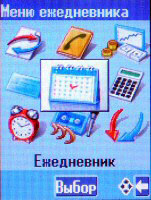 Finally, the Scheduler offers a calculator, currency converter and a business card applet. 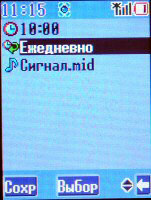 From the Scheduler you directly access the address book and enable the IrDA mode. The Connectivity menu provides Bluetooth and IrDA port/modem controls. The handset provides good connection quality enough for the urban environment. The loudspeaker volume is enough for the majority of cases, but it's controlled via the context menu that's not ergonomically reasonable compared to a side-scroller. The polyphony is generated by a 16-tone synthesizer that supports MIDI and MMF (SMAF). This ensures the versatility and allows uploading various files. SMAF produces improved sound and higher volume and provides sound intensity above the average. Given the proper ringtone, you will hear it in any conditions. But on the other hand, MIDI adds more simultaneous tones increasing ringtone complexity optimizing it perfectly. MIDI volume is considerably lower, but might still be acceptable with properly selected ringtones. The sound is accompanied by a powerful vibration alert of a relatively low frequency and wide amplitude that, coupled with noise, is noticeable wherever the handset is. My personal impressions of Panasonic X70 are very positive. The model is attractive, compact and light, but at the same time well-featured. I appreciated easy controls, extended address book, two wireless interfaces, camera capabilities (despite its artificiality), and other features. Technically X70 is rather perfect and is one of the most furnished clamshells. The only drawback is the absence of Java support, but many users don't need it. (Still, if it's available, they positively accept it.) However the absence of Java support prevents us from recognizing X70 as a real business handset, and might stop those who still need the feature. Today there are many games as well as business applications for the Java platform, so it would fit this model well. Considering the aforesaid, the general value of Panasonic X70 directly depends on its user and his criterions. If you focus on the attractive design and also require Bluetooth (e.g for a wireless headset) and a lot of other features, then X70 is the best choice since competing Motorola v500/600 and Sony Ericsson Z600 are larger and heavier. Besides, Z600 has specific design that might not suit every person. But from the angle of functionality Sony Ericsson is more preferable since it supports Java and Mophun. Finally, if you are looking for a stylish and furnished handset without any specific features, i.e. you just need a "hi-tech" device, then X70 is rather good, since it offers wide functionality and you can still get on without Java well. In general, Panasonic developed a very interesting product and only the software limits prevent us from calling it an ideal business clamshell.